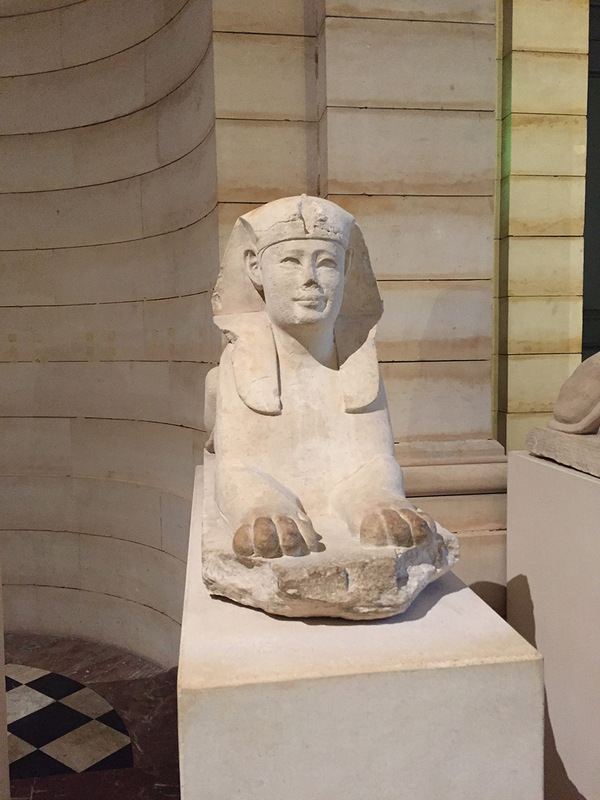 I’ve returned from a two-week vacation in Paris, the cultural center of the world for close to 300 years. 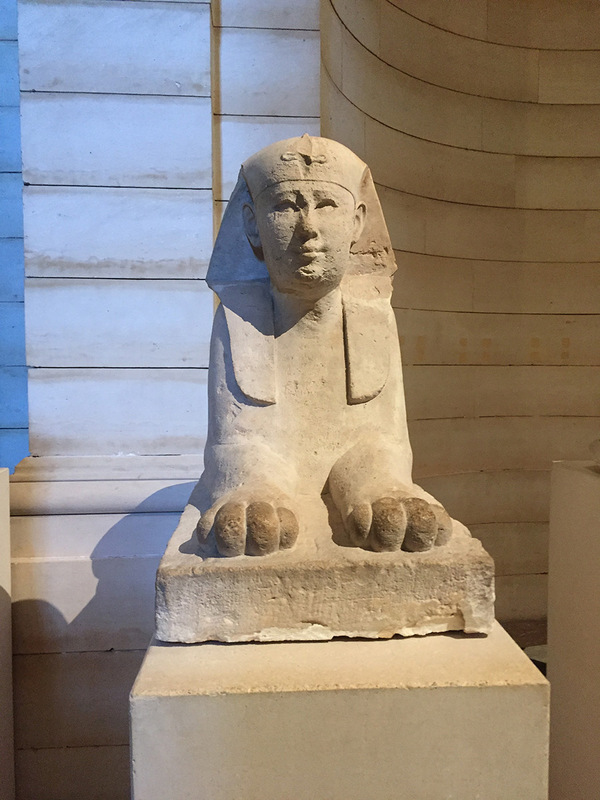 I visited a number of museums and photographed a variety of curious artifacts and flat out anomalies from the ancient past that I’ll be posting here in the coming weeks and describing on the podcast. Paris has a rich history of homegrown artists and craftsman, and at the height of their power (17th Century France), sent out explorers and scientists to discover our planet. They brought back thousands of artifacts and information. 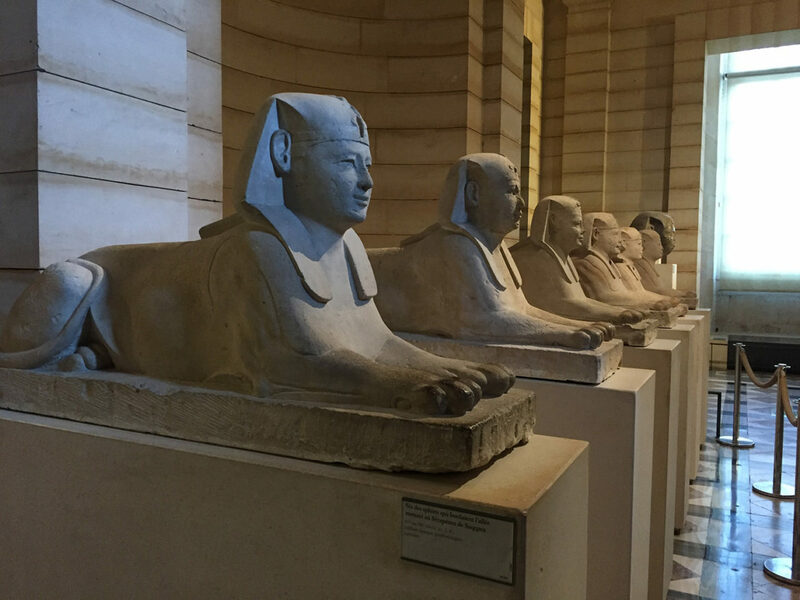 The Louvre houses a number of these fascinating artifacts and perhaps other than Cairo and Athens, contains some of the best examples of high art from the Egyptian and Greek cultures. At first I didn’t notice anything out of the ordinary as I walked by the sculptures, but before I left the exhibit I noticed a large number of Asian people staring and commenting on the sculptures. There were groups of people huddled together, some shaking their heads and talking quietly among themselves. 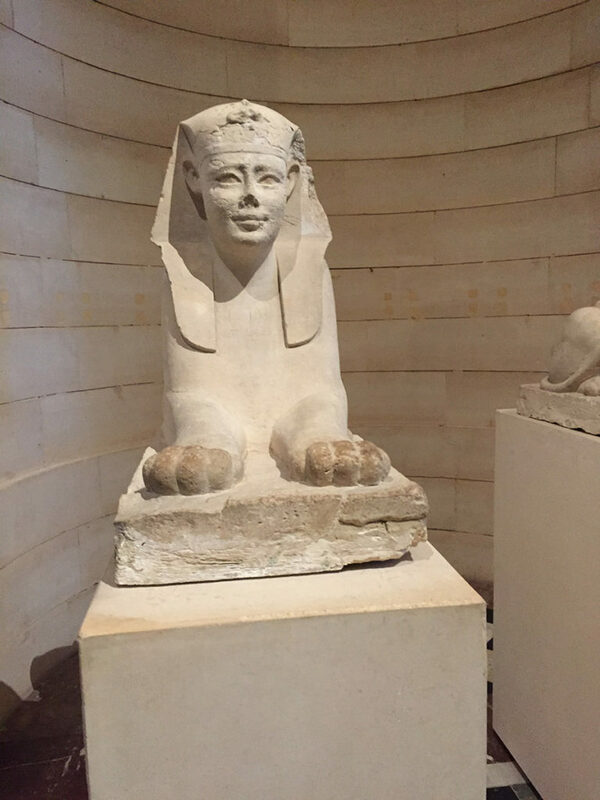 I stepped back into the room to take a closer look and photograph the heads of each Sphinx, when I noticed something odd. Was it my eyes, or were each of the heads composed with Asian facial characteristics? Wait a minute. This is strange. I walked by each figure and all had the same distinctive features. I photographed each and the entire group, letting the sight sink in. Then I realized The Serapeum of Saqqara was discovered in 1850 by August Mariette, a French archeologist who excavated the site for a few years. 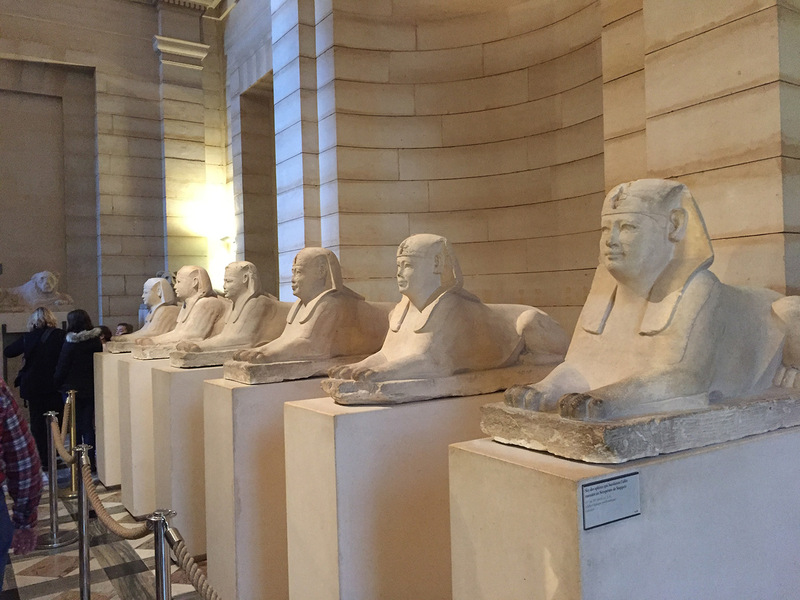 These six small sphinxes were one of the 600 that were discovered in the area during the excavation. 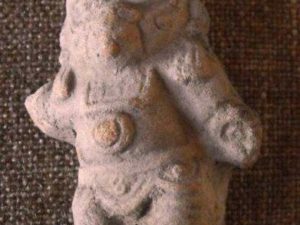 Were they part of an Asian community that had ventured to the Middle East thousands of years ago, that have not been known about until recently? 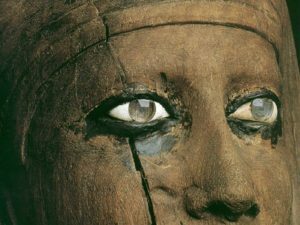 We can only surmise that ancient Egypt was far more culturally diverse that originally described. I’ve seen a rich Asiatic influence in Central America among the Maya, Olmec, Aztec and other native people during all phases of these cultures. By the way, this is never discussed by conventional archeologist or anthropologists (strange.) This may be the case in Dynastic Egypt – but because we know so little about the culture diversity of the environment, we are led to guess. 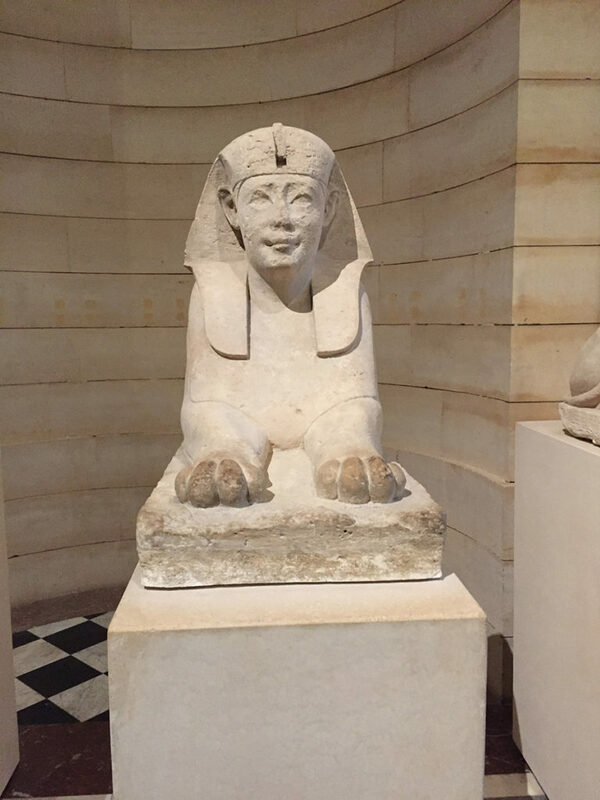 I was as shocked as the rest of the groups that were staring at this unusual spectacle and wondering where in the historical past Asian consultants, Pharaohs or travelers were described and what may have been their influence? Ancient history is a mystery. Cliff, this is great. Just wondering, what dynasty were these attributed to? 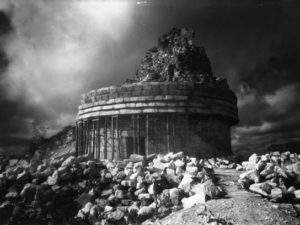 Since they are part of the 600 that were discovered, the period these statues were said to have been built was during the time of Nectanebo I. Please check it out.